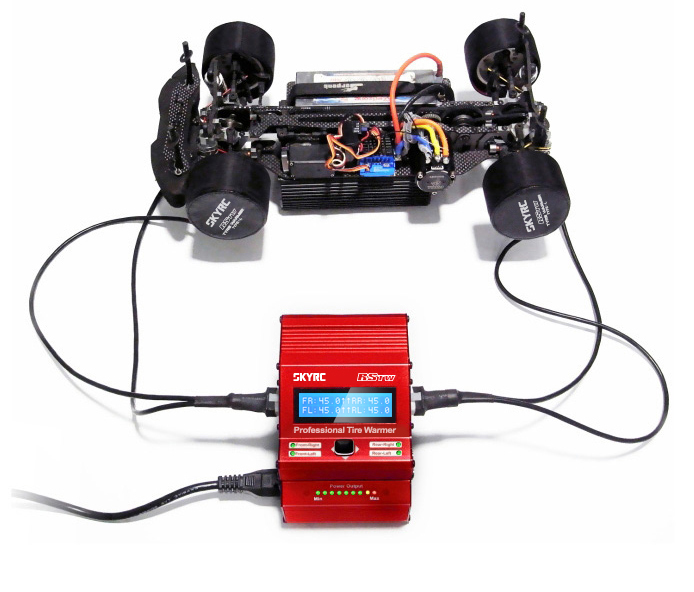 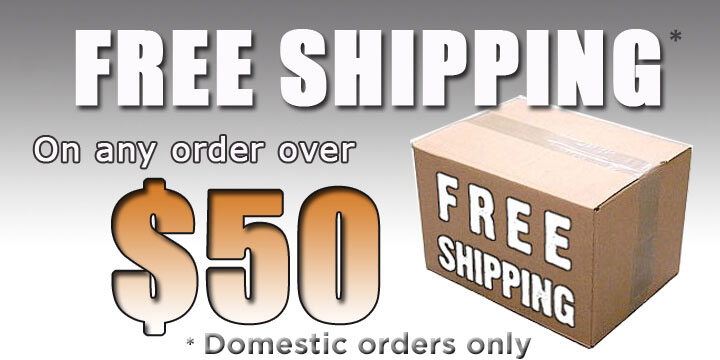 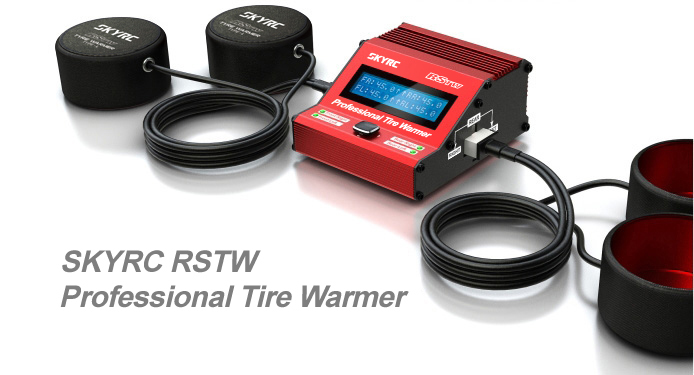 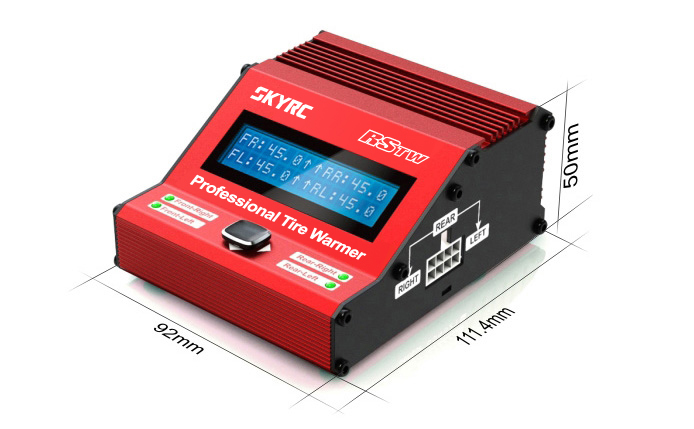 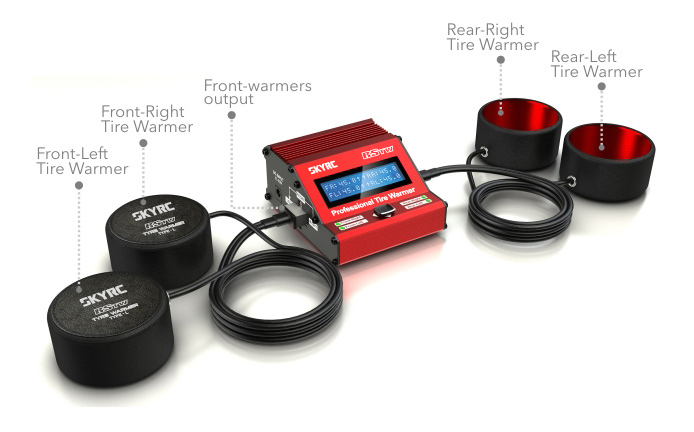 SKYRC RSTW Tire Warmers are designed to pre-heat rubber tires for 1/10 size touring cars. 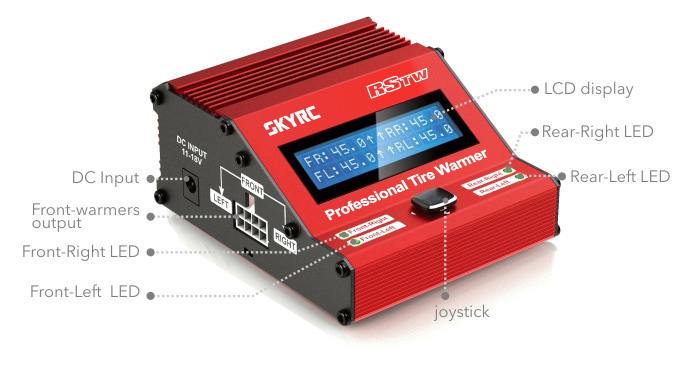 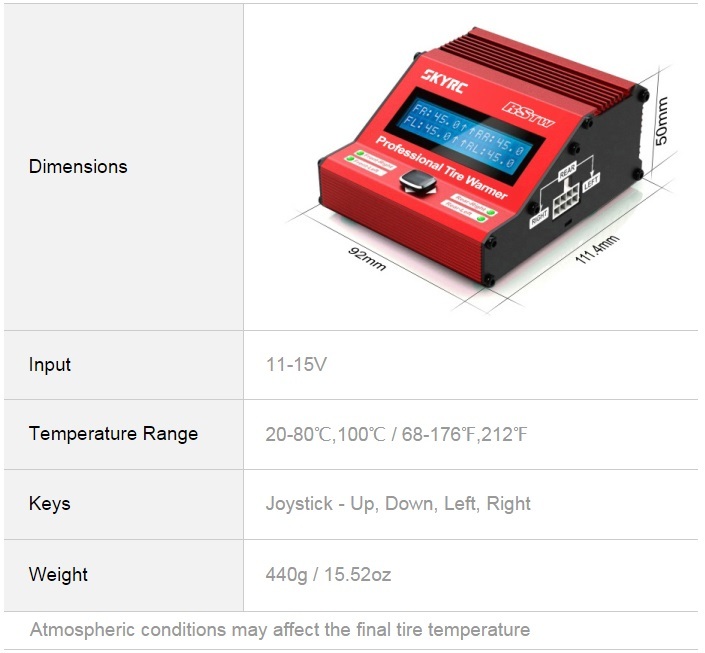 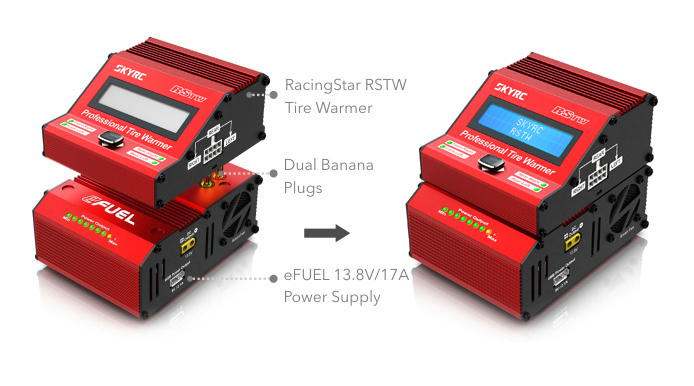 The size of SKYRC RSTW Tire Warmer is 92*111.4*50mm, which makes it a super portable product. 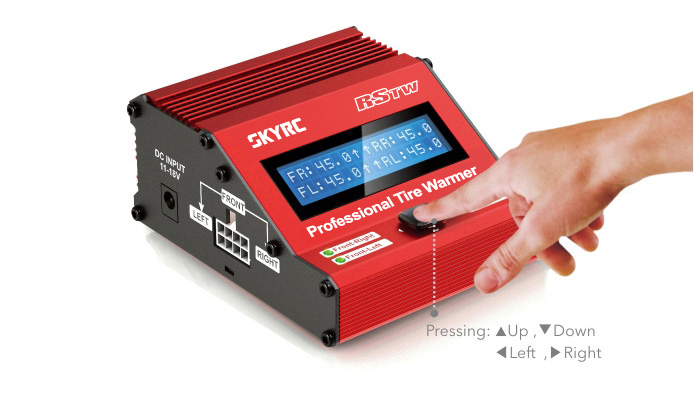 The LED indicates red when the temperature of the tire warmers is warming. 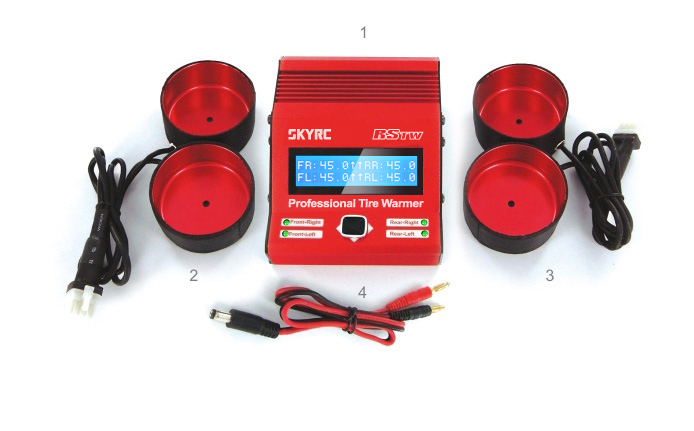 The LED indicators turn green once finished. 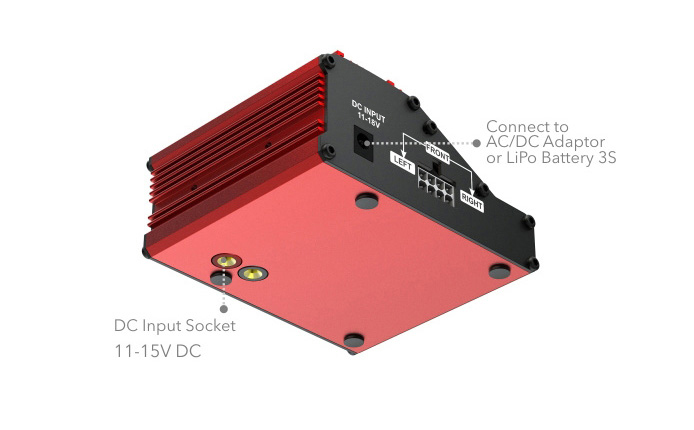 The DC input socket on the bottom is designed for docking in to the Efuel switching power Supply 17A 230W (Part No.SK-200017).